Best Web Design & SEO in Suwanee, GA > Domains > FREE SEO Tips and Tricks to Grow Your Business! SEO or Search Engine Optimization is the process of making your website, blog, or webpage visible to a search engine’s results. SEO generates organic and natural leads through search engine optimization. SEO helps position your website or web page to be properly found by search engines. SEO helps your website rank higher in Google, Bing, and other search engines which can essentially drive more traffic to your website or blog and earn you more business. Optimizing your website through SEO may be overwhelming. 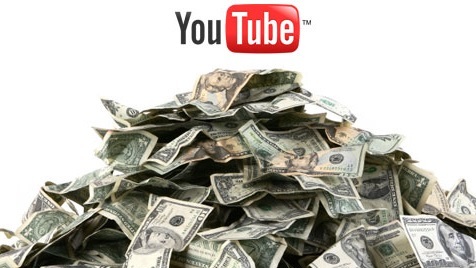 That’s why we have attached an easy instructional video to help you market your business free using YouTube. Check it out! When you are writing content for the pages of your website or blog, choose some commonly searched phrases to add into that content. For example, if you have a Computer Repair Company in Atlanta, Georgia then some related keywords to add to your website would be, “PC Repair in Atlanta” and “Atlanta Computer Repair”. These two phrases are just various ways people may search for computer repair around the Atlanta area. The more keywords that you add, the greater chances of Google recognizing your website during searches. Be careful not to over think it because you want your writing to sound casual. This is an easy way to drive more traffic to your website or blog. On the back end of your website host page, there is usually an area where you can add “Tags”. Go crazy adding phrases and words that relate to your topic. The more creative you are when adding tags, the better payoff. Think about all the different things that someone might search to draw themselves to your business. Don’t just stop at adding tags to your categories, but think of subcategories as well. For example: “Earn Money” is a lot vaguer than the phrase, “Earn Money selling cookies”. Building a repertoire with other bloggers or businesses in your field can help generate links and back-links to your website or blog. When you write a guest entry on someone else’s page, you get access to not only their followers but an extra website that points their followers to you. By adding hyperlinks into the guest entry, you are backlinking your website with theirs. Search engines see this and will give your blog more authority. When you write a guest entry on someone else’s site, make sure to offer the courtesy of promotion that individual’s site through your own network. You can even invite that person to blog on your site as well. Then she can promote her guest entry to her network, increasing the links that point to both of your websites. This is a great way to increase your domain authority. If 25 websites dedicated to Computer Repair are linking to you, then search engines see your website as highly relative to the Computer Repair industry. If a reputable company website such as, Geek Squad is linking to your website then you have just struck search engine gold! This linking will cause your website domain to skyrocket on the search engine charts! Smart Website Design specializes in generating your traffic to your website or business. Generating traffic to your website gains your business leads, and more money flow. Do the SMART thing, and market the SMART way by choosing Smart Website Creations to help you grow your online presence! Learn all about Search Engine Optimization or SEO on our Smart Website Creations website.